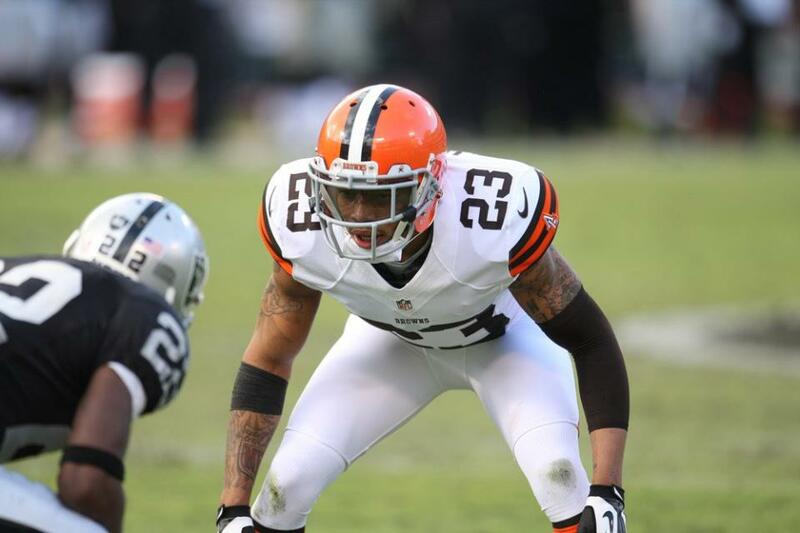 The Cleveland Browns return home on Sunday to face the Oakland Raiders in a game that has taken on greater importance following last week’s loss to Jacksonville. This is the second consecutive week that the Browns will face a winless team and they are looking to avoid becoming the first team in the 95-year history of the NFL to lose back-to-back games this late in the season to winless teams. It is also the second game in a three-game stretch that many saw as the “easy” part of the Browns schedule and the team needs a win to calm everyone’s nerves and stay within sight of the division’s top teams. Probably no one needs a better showing against the Raiders than quarterback Brian Hoyer, who in one week went from deflecting questions about his contract status to hearing renewed calls from certain quarters for Johnny Manziel to take over at quarterback. Put up a solid game in front of the home fans, and Hoyer should quiet the noise for a few weeks. The probability of Hoyer having a rebound game this week are pretty high as he has played considerably better at home this year. In guiding the Browns to a 2-1 home record, Hoyer’s completion percentage (62.2 vs. 50.9), average per pass attempt (8.67 vs. 6.74), interceptions (0 vs. 2), sacks (2 vs. 7) and quarterback rating (102.2 vs. 77.2) are all significantly increased at First Energy Stadium. It’s not all about one player, as Browns head coach Mike Pettine reminded everyone this week, so here are a couple of other keys for the Browns if they are to right the ship this week. The Raiders come into the game looking very much like last year’s Browns in terms of their running game. Oakland is averaging just 69.3 yards per game on the ground, the NFL’s worst, and are “led” by Darren McFadden, who is averaging 3.8 yards per carry and just 46.5 yards per game. The usually dynamic McFadden has also yet to break a run of more than 20 yards this season. Of course, nothing is easy for the Browns when it comes to stopping the run as they are the NFL’s worst, giving up 155.5 yards per game. Sadly, the Browns best game of the season came in Week 1 against Pittsburgh, meaning they have continued to get worse as the season has gone along. This week would be as good a time as any for the Browns to start buying in. Even though they struggled last week against Jacksonville, the Browns are still third in the league in rushing, averaging 146.4 yards per game. The Raiders are in the same neighborhood as the Browns when it comes to their rush defense, ranking 29th in the league as they give up 145.3 yards per game. The Browns have had success with a trio of running backs in Ben Tate, Isaiah Crowell and Terrance West, but all three sounded off this week that the three-back system isn’t really working, an assessment that offensive coordinator Kyle Shanahan did not agree with. We’re now six games into the season, meaning that Shanahan and the coaches should have seen enough from Tate, Crowell and West to be able pick two running backs (Tate and Crowell) and ride with them. Just feed Tate and Crowell the ball against the Raiders and don’t overthink things. Oakland comes into the game having lost 12 consecutive games dating back to last season, and 16 of their past 18 road games since 2012. The Raiders are off to their worst start since 1962 and have lost to the Browns in eight of the past 11 times the two teams have met. They are also starting a rookie quarterback, Derek Carr, on the road. If the Browns are serious about showing everyone they have turned the corner, they need to simply go out and take care of business against the Raiders. There is really no excuse – barring some crazy circumstances – for the Browns to lose to Oakland this week. Last week’s loss to Jacksonville was disappointing and while it was only one game, in some ways it felt worse because it also dealt a blow to the perception that the team was getting better. It would be hard to find a better team for the Browns to face this week than the Raiders, the only team in the NFL that has scored less than 100 points this season. Nothing is ever easy for the Browns, though, but they should still get the job done and help calm everyone’s nerves – at least until next week’s game against Tampa Bay.